Tours depart at 10:30 am. This tour only departs once in the morning. We are comparing Malaga Walking Tour Prices from leading ticket suppliers and Try to find you Cheap tickets prices on the market. It’s a great way to get your bearings in the city and uncover the cities history, culture and customs. Walking with a local and knowledgeable guide gives you more of an insight into he city than you’d ever learn on your own. It’s a great way to keep active on holiday all while still having fun! It gives an opportunity for you to ask questions about Malaga’s most famous attractions as your guide is full of knowledge. The tour also provides a wonderful way to explore Malaga in a group rather than on your own. Your Experience With Malaga Walking Tour? 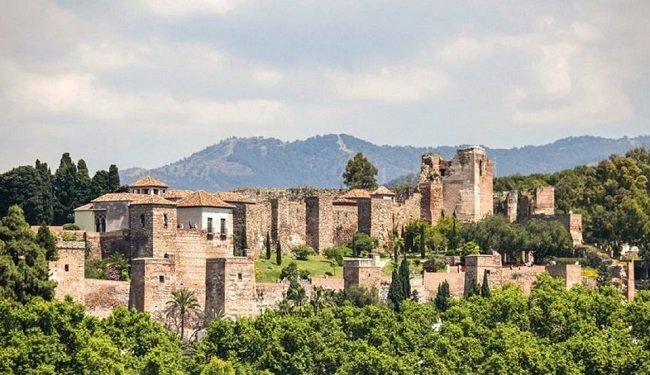 Visit the impressive Plaza de la Constitucion, the breathtaking Malaga Cathedral and the impressive Moorish fortress of Alcazaba where you can enjoy panoramic views across the town. Enjoy fast-track entry at some of the highlights of Malaga including La Manquita. Learn about the origins of the city as you go. Visit the Teatro Romano, a Roman theatre built in the last quarter of the 1st century BC. What Malaga Walking Tour Includes? Three hours is a long time to walk without a drink in the summer heat, make sure you pack a bottle of water in your day bag! Travelers Reviews about Malaga Walking Tour? Tickets booked through Get Your Guide are mobile friendly and can be cancelled 24 hours in advance for a full refund. Tickets booked through Viator must be printed and can be cancelled for a full refund seven days in advance. Make sure you're wearing comfortable clothing and footwear. Don't forget to apply suncream before departing on the tour. Calle Alcazabilla (near the Roman Theater visitor center).